This article appeared in the Vancouver Sun on October 5, 2011 and was written by Jenny Lee. Kamloops is adding small businesses at the fastest clip of any community in B.C., according to Small Business BC. The southern Interior city is followed by Victoria, Penticton, Vancouver, Abbotsford, then Kelowna, each of them with significantly lower growth. 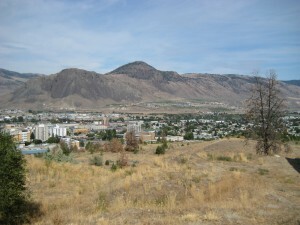 Kamloops added 412 new businesses, a six-per-cent increase, between June 2010 and June 2011. By comparison, Vancouver added 5,733 new businesses, up three per cent. Not surprisingly, real estate agents led the charge in Kamloops, with 93 new businesses in the 12 months, but 83 were owner-operated. The city added 49 retail stores for the year ending June 2011, including 21 retail stores with fewer than five employees. Other growing sectors in Kamloops include health care, agriculture, forestry, fishing, hunting, business services, accommodation, food services, finance and insurance. Business incorporations and labour market data for the Thompson-Nicola Regional District – which includes Kamloops – are weak, Pastrick said. The number of employment insurance beneficiaries continues to decline this year, but it’s not clear whether this is due to successful job searches or expired claims. Business incorporations in this regional district are running below last year, he said. In the Thompson-Okanagan, which includes Kamloops, Kelowna and other cities, unemployment averaged 8.3 per cent from January to August of 2011. Meanwhile, the Statistics Canada/Small Business BC data shows Victoria was the second-fastest-growing community for small business locations between June 2010 and June 2011, registering 3.3 per cent growth. There were 544 new real estate businesses, of which 527 had no employees. Other growth sectors were health, insurance and finance, professional, scientific, technical service and retail. Real estate also led in Penticton, which grew 3.1 per cent over the period. Other growth came from professional, scientific and technical service business, agriculture, forestry, fishing, hunting and construction. Cranbrook was the small business growth leader last year, increasing 5.2 per cent between June 2009 and June 2010, Eversfield said.